Palmeiras are experiencing an unprecedented growth in organised supporter groups outside of Brazil (at Anything Palmeiras, there is even a page dedicated exclusively to these affiliates and if you have not already, you MUST check it out). The growth has certainly been driven by Palmeiras’ success in recent years, as well as the by the day more accessible information and communication technology. However, credit is also due to Palmeiras’ directors within the “Interior Department”, a mismatching statuary name for the division responsible for handling supporters outside of the city of São Paulo (indeed a rather extensive region to cover). In today’s post, a translation of an article written by Bruno Maciel and simultaneously posted at Olé Palmeiras, we learn a bit more about one of these new, thriving palmeirense communities: the PIS – Palmeirenses in Sydney. Enjoy! Palmeirenses in Sydney (PIS) was created in early 2016. The Australia-based supporter group has its headquarters at Cheers Bar, located at 561 George Street, where Liverpool and Celtic supporters also meet up. According to Rodrigo Teixeira, one of the nine general managers of PIS, this particularity have given birth to an entertaining rivalry among the fans of the three clubs, in addition to a very nice friendship. “We have become great friends. At the end of the year, we organized a party in the pub, and they attended. We always joke around with each other, and mainly with the Liverpool fans. We say that if they should once again win the Champions League, and we the Libertadores Cup, we will run them down in the World Cup final, but all in good spirit”, Rodrigo says in the interview. In fact, the co-existing at Cheers Bar could not be different. The idea of ​​creating a Palmeiras community in Sydney was inspired by the meetings that the English and Scottish promoted at the premises. Cheers Bar employee Will Santana, a Palmeiras supporter, followed these gatherings closely and decided to ask the owner of the Pub if could also get a group of locals together. “The answer was yes, even after Will making sure that the boss understood this was no normal crowd, but a partying and loud bunch of supporters. A picture – the largest – was pinned to the wall and Cheers Bar was officially PIS’ headquarters”, Rodrigo explains. Will started spreading the word on social media among Brazilians living in Australia, and soon enough the first five supporters turned up. These suggested setting up a WhatsApp group to facilitate communication. Since then, PIS has not stopped growing: on facebook, the group has about 2.300 followers, and the WhatsApp group has 257 members – supporters who frequent the Cheers Bar on game days – at least on and off. The PIS members certainly deserve recognition from palmeirenses all over the world for the effort they put in to watch the team’s games. After all, there is a 13-hour time zone difference between Brazil and Australia. That means being at Cheers Bar at 6 am on a Monday morning in order to catch the regular Sunday game. “On derby days, we have an average 100 people watching. Last year, at every Palmeiras game we had people here – sometimes only five people, sometimes 50 or 100. But always people. Our all-time record attendance was when we beat Chapecoense to bag the 2016 Brazilian Championship title. 200 people came for that game”, says Rodrigo. That day, naturally, deserves its own page in PIS’ history book. In ecstasy, the 200 Palmeiras supporters left the bar to celebrate the title at one of the best-known places in Australia: the Sydney Opera House. “We started the championship party there, and then headed for Coogee Beach, where we set up and fully enjoyed a barbecue. It was epic,” recalls the manager. All the love on display for Palmeiras captivates the Australians. According to Rodrigo, it is very common, on game days, to see locals inside the Pub, following the game and cheering for the Verdão, the Big Green. “They are impressed with our fans and how much we love Palmeiras. Many join us to be part of the vibe we have created”. 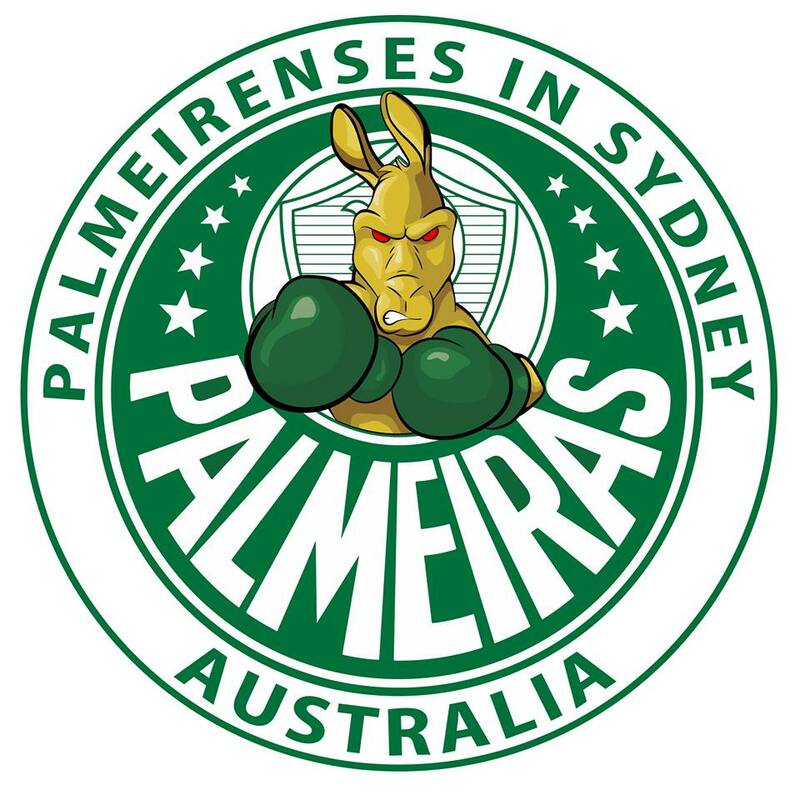 As with the Dublin crowd [the topic of an upcoming post], all this dedication has not gone unnoticed by the Sociedade Esportiva Palmeiras: the club has granted Palmeirenses in Sydney formal recognition as the Palmeiras Consulate of the Oceania. With only two years of PIS existence, there is but one word to explain such impressive growth: organization. Starting with the 10% discount at Cheers Bar for holders of the PIS membership card, as negotiated by Will with the Bar owner. “A lot of people seek us out toward the end of the night, telling us the card was a great help when the bill needed paying. Steadily, we are increasing the number of members. Last Monday, the day after defeating Santos, we saw five new ones”, Rodrigo says. PIS events goes beyond Palmeiras. On June 9, 2017, the Brazilian national team played Argentina in a friendly in the city of Melbourne. In an effort to support Gabriel Jesus and the rest of the squad, 60 PIS members bought tickets and went to the neighbouring city to watch the duel, which ended in a 1-0 victory for the Argentines. “We had an incredible time. There were supporters of rival teams from São Paulo who were very annoyed with our organization and the party we had. Singing Palmeiras songs throughout the game might have played a part in it”, Rodrigo concludes, tongue in cheek. Previous Football sponsorship: business or charity?